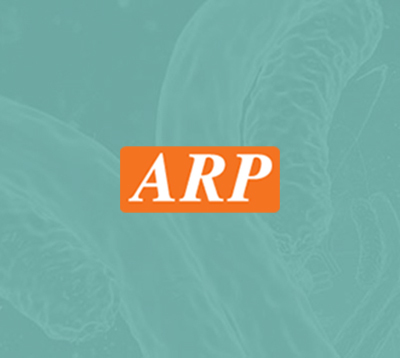 HSD17B8, 1-261aa, Human, 01-1807-8 | ARP American Research Products, Inc.
HSD17B8, also known as estradiol 17-beta-dehydrogenase 8, belongs to the short-chain dehydrogenases/reductases (SDR) family. 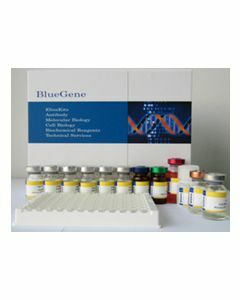 In mice, the Ke6 protein is a 17-beta-hydroxysteroid dehydrogenase that can regulate the concentration of biologically active estrogens and androgens. It is preferentially an oxidative enzyme and inactivates estradiol, testosterone, and dihydrotestosterone. However, the enzyme has some reductive activity and can synthesize estradiol from estrone. It may play a role in biosynthesis of fatty acids in mitochondria. Recombinant human HSD17B8 protein, fused to His-tag at N-terminus, was expressed in E.coli and purified by using conventional chromatography.